This will be the third year that I have participated in TdF. As I’ve posted in previous writings, I thought that I would be working on my Bond fleece. I was having complications on how I was going to prepare the fleece. I had tried both brushing using animal brushes and single row combs. I have finding what I know now as second cuts. I paid a pretty penny for this fleece, and have been told from two friends that I should let Gleason know about the second cuts she’s getting from her current shearer. I should not be getting second cuts from a fleece I paid $100 for. It’s making me wonder if the entire fleece will be like that and how bad. I want to make sure that I get enough out of this fleece in order to be able to make my project. I’d really hate to be short because I paid for second cuts. So with that said, I had to go through my stash and decided what I wanted to start while I decide what I want to do. Plus I have to take some time out to prepare the fiber for spinning. I found a braid that I bought back in March 2011 from a shop in San Diego that I had been recommended to me. It wasn’t the type of shop that I was expecting. About a quarter to a third of the shop was dedicated to fiber and the other was like a Cracker Barrel. It had everything else. It’s a gorgeous braid. I for some reason thought that it had some green to it. One thing I bought from the yarn store that closed here in town was a dark green Mernio/Bamboo. Oh well…it’ll be used for something else. Since the braid was only 4 oz, I decided to spin this thin. The first day I got a little under an ounce completed because I got a late start. I was having a new and much needed mattress delivered and I still needed to clean up the entry way and my bedroom. Today is….well since it’s after midnite, it’s officially day 3. As of now, I have completed about half of the braid. 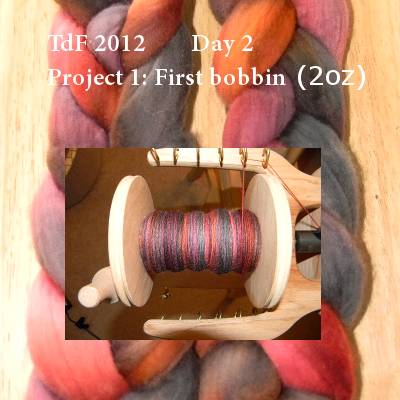 I plan to finish spinning the other half of it maybe more tomorrow and have the two bobbins plied either by later tonite or the day after. In between all of that, I need to get to my combing. I still need to figure out if I want to do a 2 or 3 ply on this project. I think that if it were a Merino I might do a 3 ply, but with how it’s feeling right now I think I might do a 2 ply. If I don’t have all of that decided and I have my carding going, I do need to think about my next project. Other than starting my big project I also have to think what other projects I want to work with. 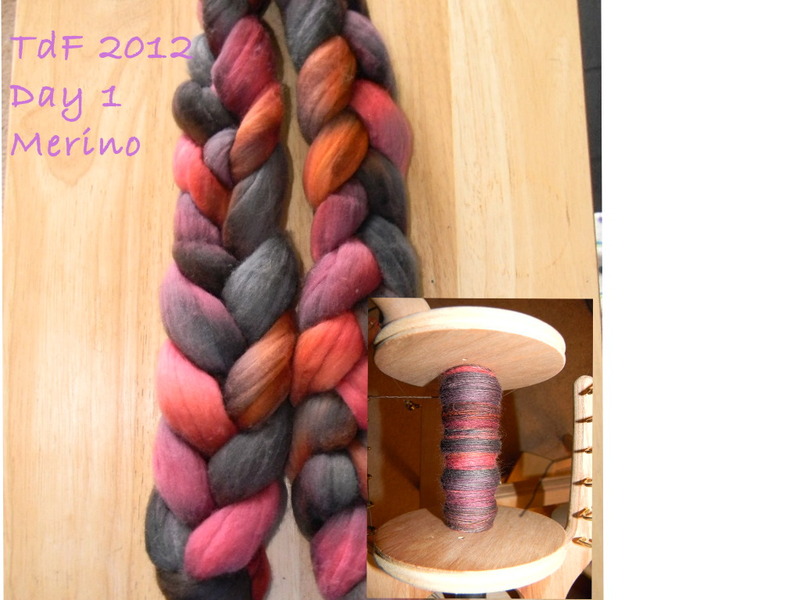 I have two awesome batts that are just wait to be spun. I’m just not sure how I want to spin them up. I think I might try using some thread like my friend Peggy does with some of her projects. With my stash…the sky’s the limit.